Do-It-Yourself projects are not limited to crafts and other small projects. 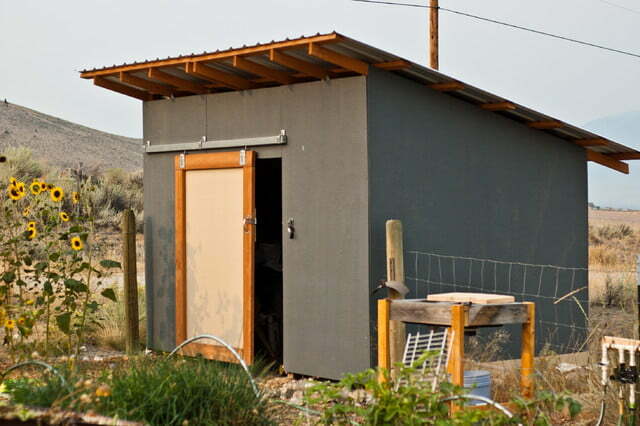 In fact, the metal structure presented below is a product of one man’s do-it-yourself project. 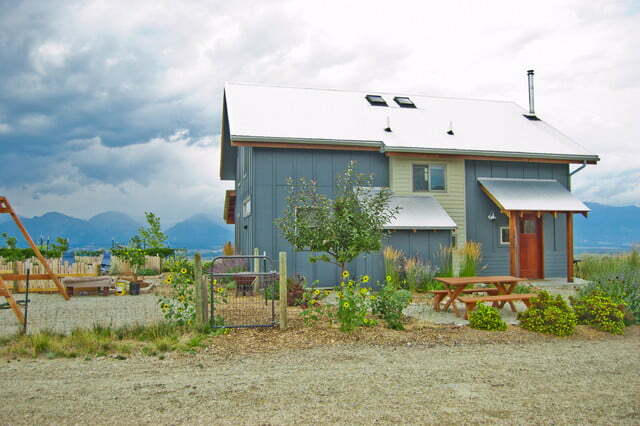 Owner, Brock Hammill, built this farmhouse single-handedly. 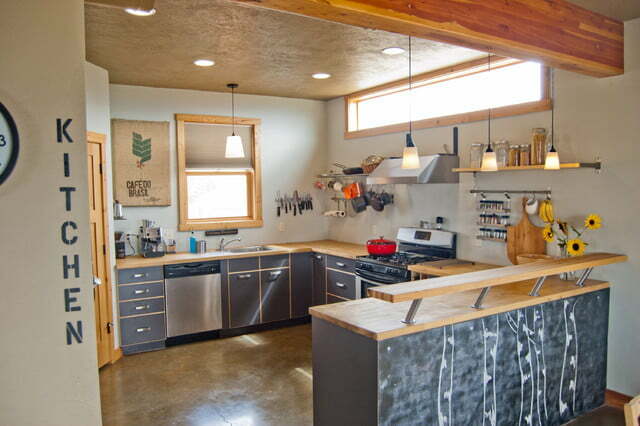 He did not only build a functional home but an aesthetically pleasing one at that! Viewers would not immediately notice that this farmhouse is not made up of wood; the farmhouse is made up of metal. However, its color, “Garden Spigot – Ralph Lauren”, and design enables the metallic structure to blend well with its environment. This amazing metal two-storey farmhouse includes a front and back porch, three bedrooms, two bathrooms, and a garage located at the back of the house. It also is accompanied with a metal shed for an additional storage area for the family. Check out the images below. See the amazing output of a very talented one-man crew. Don’t hesitate to comment below. Stats: 2150 sq. feet , 3 bedrooms, 2 bathrooms, 2 floors, modern shed, porch, rear garage. Plans & Prices: feel free to contact the owner Brock Hammill. Front view of this amazing metal farmhouse. It has its own skylight that welcomes nature’s light. 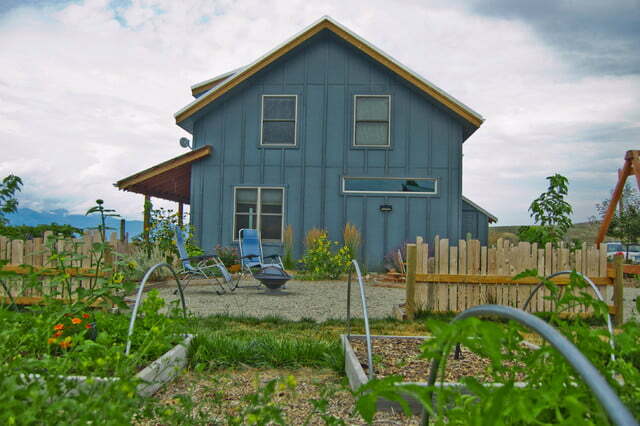 It also has a dining area outside the farmhouse and a playground. 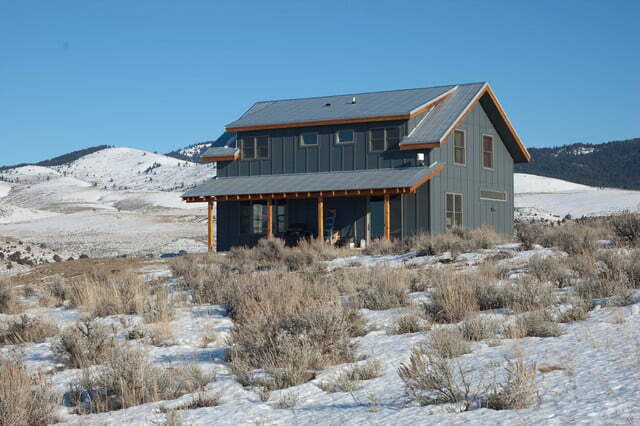 Side view of this amazing metal farmhouse. It looks out to an area where people can gather and relax. Back view of a farmhouse with clean lines and color that blend well with its surroundings. Clean lines are not only visible outside the house, they are also present inside in terms of placement of shelves and counter tops. It also has a top window that allows the natural light to enter. 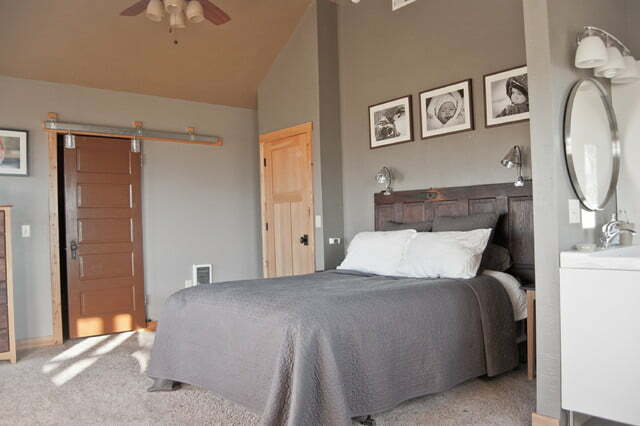 One of the three bedrooms on the second floor. Closet door is designed like a sliding barn door. This is to maximize space in an area. It has its own bathroom which is located opposite the closet area, on the left side of the bed. 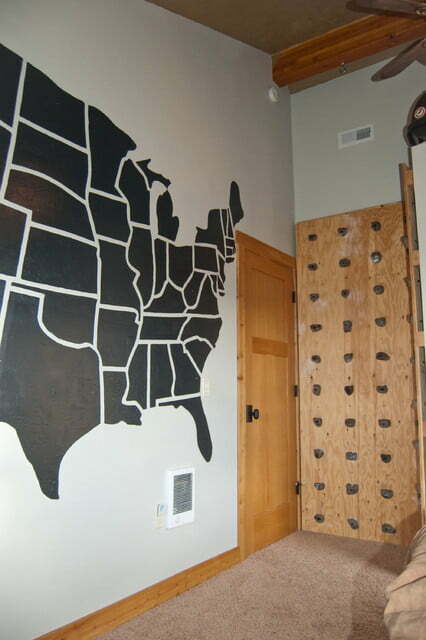 A gorgeous stenciled map design on one wall and a climbing wall on the other. 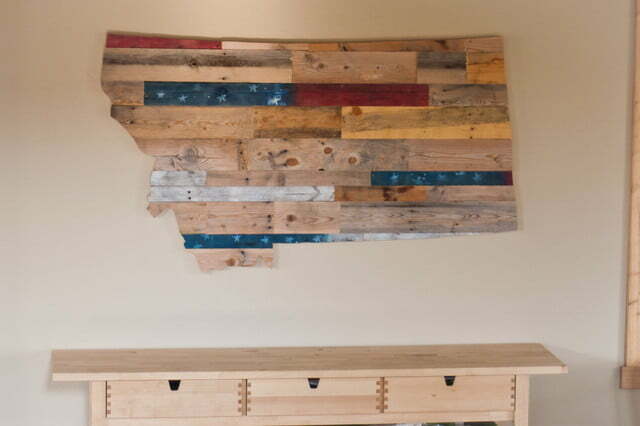 A wood design map of the U.S.A. above a wooden desk. Very rustic and pleasing to the eye. One way of merging wood decor to a metal structure. A very resourceful way of saving scrap materials. 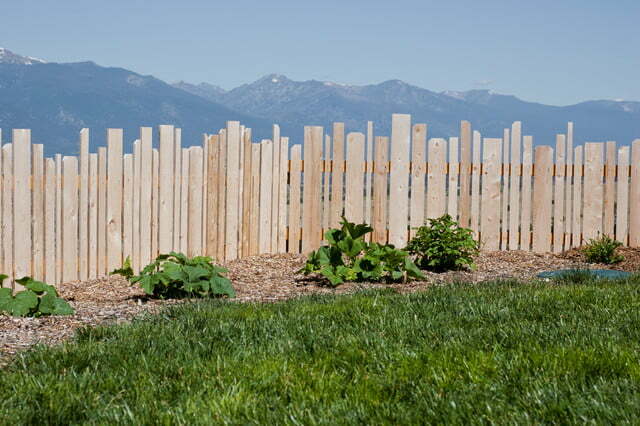 Making a fence out of excess wood. The metal shed; a modern storage area.